When my mom first moved to New York from Sao Paulo, she was surprised to discover that Americans use avocados in savory dishes. In Brazil, avocados are eaten for dessert, blended with sugar and lime juice until creamy and pudding-like. 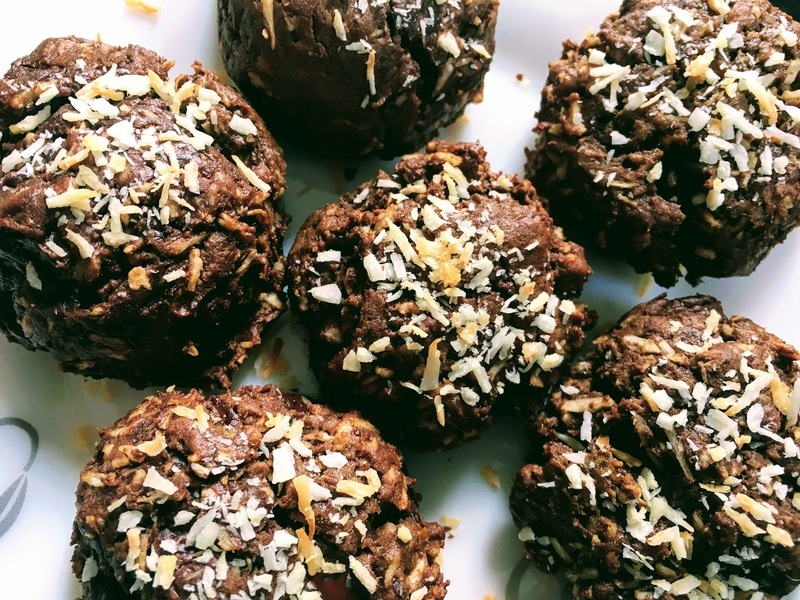 Inspired by this dessert, which I ate several times growing up, I developed a cookie recipe infused with Brazilian ingredients: lime, avocado, coconut, and cacao. Avocados are rich in healthy fats, and make a great substitute for butter (a little butter is still necessary, however, for a perfectly soft and flavorful cookie.) Though packed with dark chocolate, these cookies are light and pillowy. They are like a bite of the tropics, much needed on the still-chilly days of early spring here in New York. *if you’re new to zesting limes, see this how-to guide. Place a rack in the middle of the oven. Preheat oven to 350 degrees F and line a baking sheet with parchment paper. In a large bowl, beat together butter and sugar until smooth and creamy. Stir in lime juice, lime zest, and vanilla. Add egg and mashed avocado, mixing until smooth. Stir in salt, baking powder, baking soda, and then cocoa powder. Add flour, stirring until just incorporated. Add shredded coconut and chocolate chunks. The dough will be slightly sticky. You can scoop and bake cookies right away, but for best results, wrap dough in plastic wrap or seal in ziploc bag, and refrigerate for several hours, until firm. Using a tablespoon, scoop and drop cookie dough onto prepared baking tray, about 1 inch apart. Flatten each mound of dough slightly with your fingertips. Sprinkle tops of cookies with shredded coconut. Depending on the size of your oven and baking sheet, you may need to bake these in two batches. 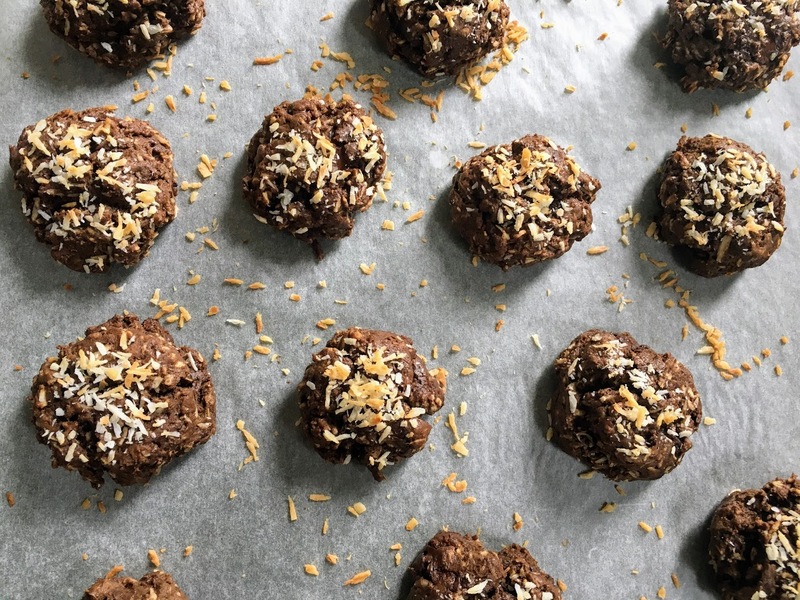 Bake for around 17 minutes, until cracks form on the surface of the cookies and the coconut sprinkled on top just begins to turn golden. Store at room temperature in an airtight container.